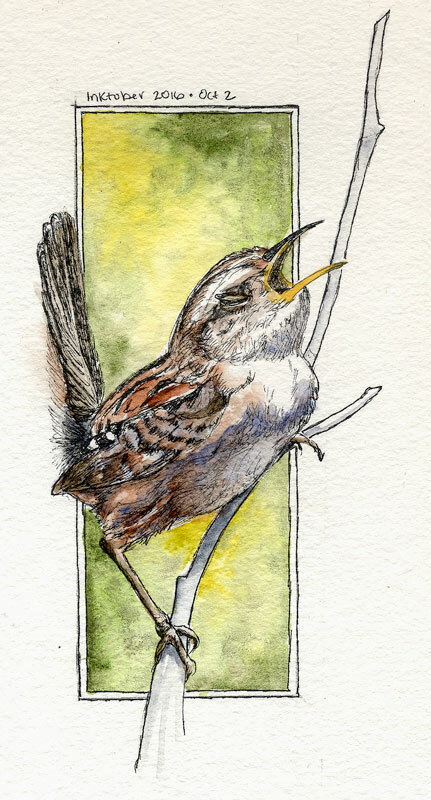 Today’s entry is a serenading Sedge Wren, drawn from Bob Tarte’s fabulous photo and used with his generous permission. Thanks Bob! Do check out his books and podcast at bobtarte.com. Birdy at left drawn with the Platinum EF fountain pen on Strathmore 140lb Windpower CP.